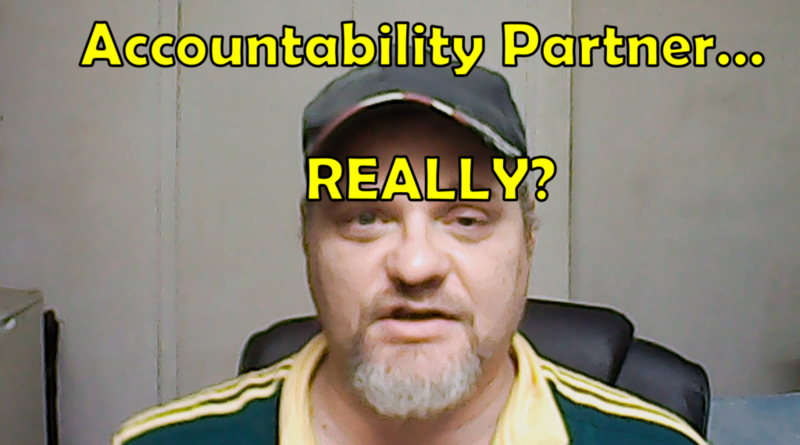 I have always NEVER like the idea of an accountability partner. Maybe its because I am just a stubborn person or maybe its because I've never liked the idea of a person holding me to account. Either way it revolts me and I absolutely do not respond to a accountability partner. I have toyed with the idea but no matter how I think about it. I cannot do it. So if you thinking that maybe you need one or you thinking of getting a person who can hold you to a standard let me tell you a few things. First, if you are going to be a success. The only person who is going to get you there is YOU. No one else!. You see, lets say that you don't get to a goal and you have an “accountability partner” who do you think is easier to blame. You would think yourself right. NO, it usually is the other person that gets the burn. How do I know this. Because I've seen it. Over and over again. If you think you won't then you fooling yourself. It may not be you that gets upset. It probably will be the other person. Second, having an accountability partner does not scream leadership, its screams FOLLOWER. If you want to lead then lead. Don't get a person to help you lead. At the end of the day. The way you lead is to help others solve a problem. If you make that your focus then you won't need an accountability partner. TRUST ME.